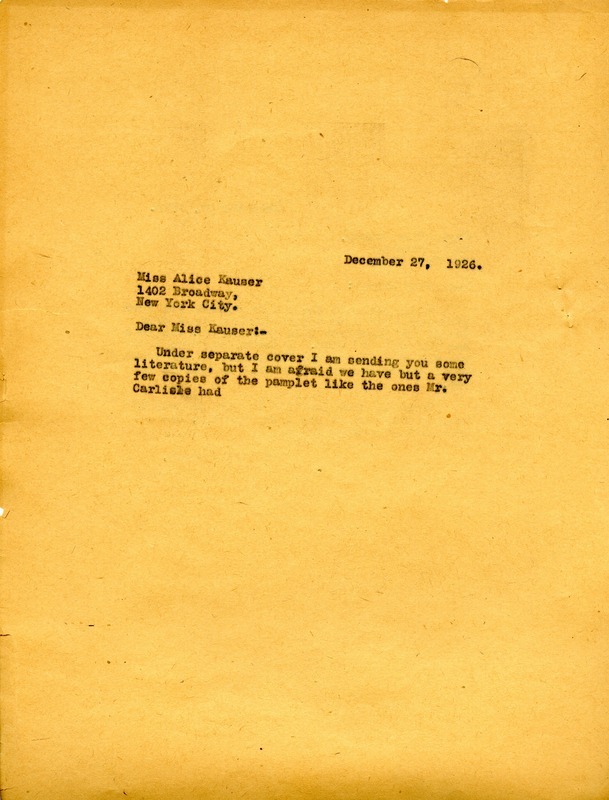 Miss Berry writes to Miss Kauser informing her they do not have the same pamphlets like Mr. Carlisle had, but hopes the new literature they are sending her will make do. 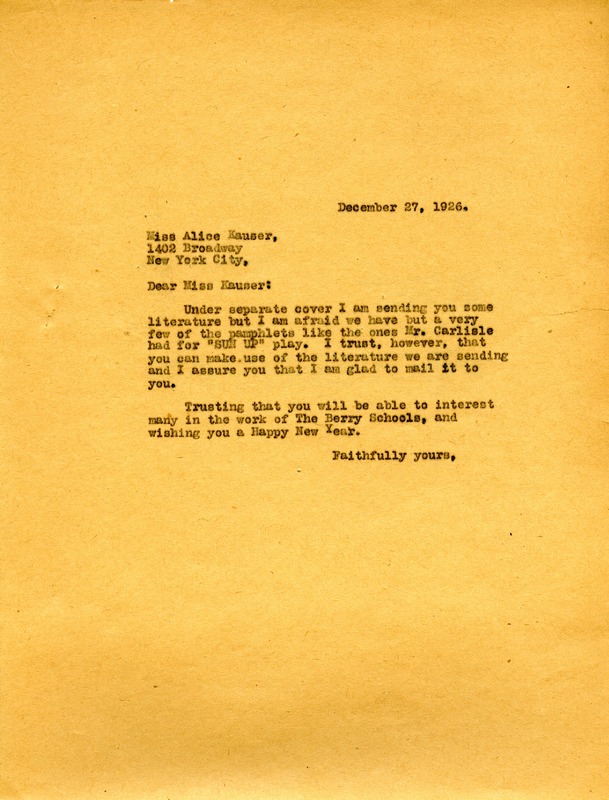 Miss Martha Berry, “Letter to Miss Alice Kauser from Martha Berry.” Martha Berry Digital Archive. Eds. Schlitz, Stephanie A., Rachel Renaud, et al. Mount Berry: Berry College, 2012. accessed April 18, 2019, https://mbda.berry.edu/items/show/1833.